One of the most common materials being swapped out for silver (amalgam) fillings is composite resin. Instead of using a mixture of mercury and other metal alloys to fill cavities, composite resin contains glass and plastic, two materials that are biocompatible without any of the problems typically associated with silver. Silver has been proven durable for many years and been the standard for dentists around the country, but that doesn’t mean they aren’t without their faults. For example, some patients have an inherent allergy to silver, making it impossible for them to use. Those who already have fillings are probably aware that they can break down natural tooth structure over time, especially when exposed to hot and cold stimuli on a regular basis. This expansion and contraction does not occur when using composite resin. Plus, composite resin is not exclusively for restoring damaged teeth. It’s also ideal for fixing minor chips and cracks, therefore making it a great material for cosmetic treatments. Metal crowns are a pretty common restoration provided by dentists, but did you know that porcelain crowns offer similar durability? Porcelain is made up of dental ceramic that is just as strong if not stronger than natural tooth enamel. Not only that, but they reflect light almost identically, providing the most natural appearance possible. When properly cared for, there’s no reason they can’t last as long as traditional metal crowns. If you are missing a tooth, you’ve probably looked into dental implants to see if they’re right for you. However, if you were disheartened by the fact that they use titanium to bond with organic tissue, you’ll want to give them a second thought. Dental implants can also be made from zirconia, a common dental ceramic that also carries biocompatible traits. Zirconia is not only a great material for dental implants, it carries lower risks compared to traditional titanium implants. It’s far less likely to trigger an allergic reaction and carries an additional resistance to bacterial infection. This makes it an ideal alternative for those trying to replace teeth with dental prosthetics. Don’t settle for a metal mouth if you don’t have to. Schedule an appointment today to get started restoring your smile! Dr. William J. Twohig practices dentistry with a holistic and natural approach. 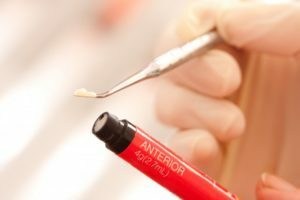 He’s always learning more about dental materials, techniques and treatments that can give patients the largest amount of options available. To learn more about this practice or restorative treatments, you can contact him through his website.